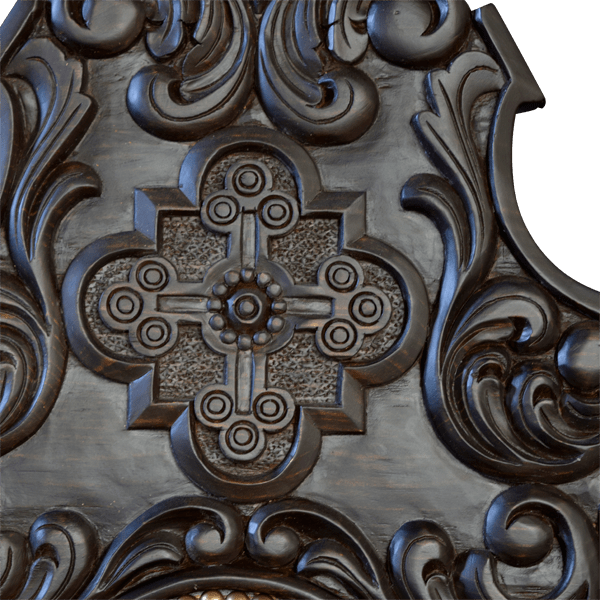 This Spanish colonial style, handcrafted chair features spectacular, hand carved details performed by our skilled craftsmen. 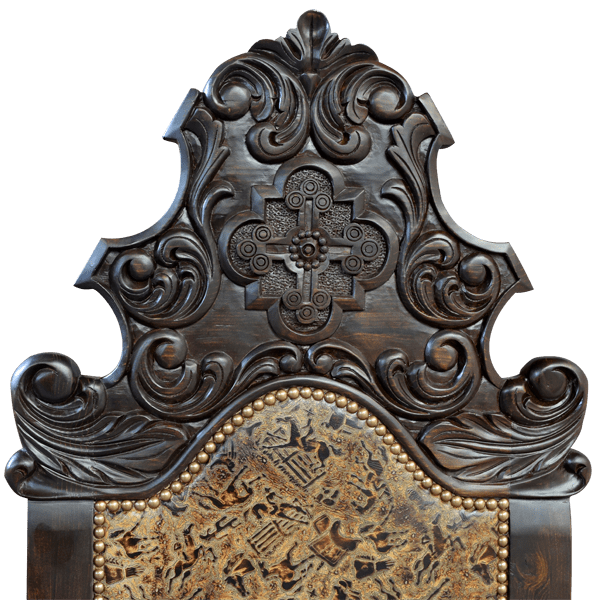 The top crest of this custom chair is adorned with a beautiful, hand carved, medieval style cross, surrounded with floral designs. 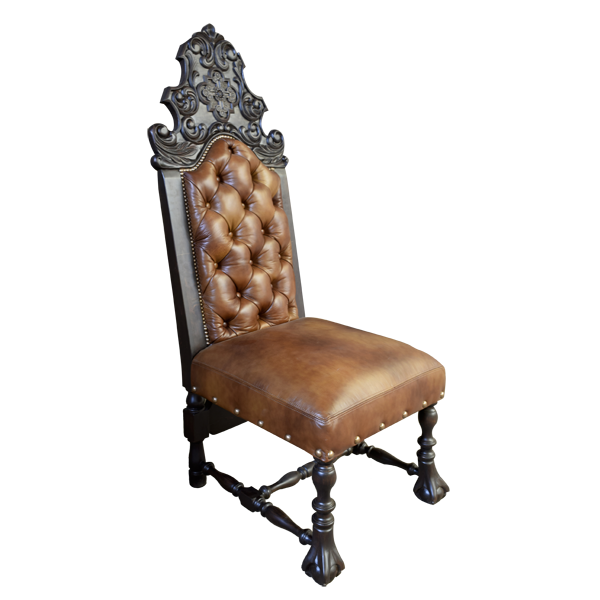 The chair is supported by exquisite, slightly splayed, hand turned, front legs that end in hand carved, ball and claw feet. The back legs are also slightly splayed, and the legs are joined by an “H” shaped, wood turned stretcher. 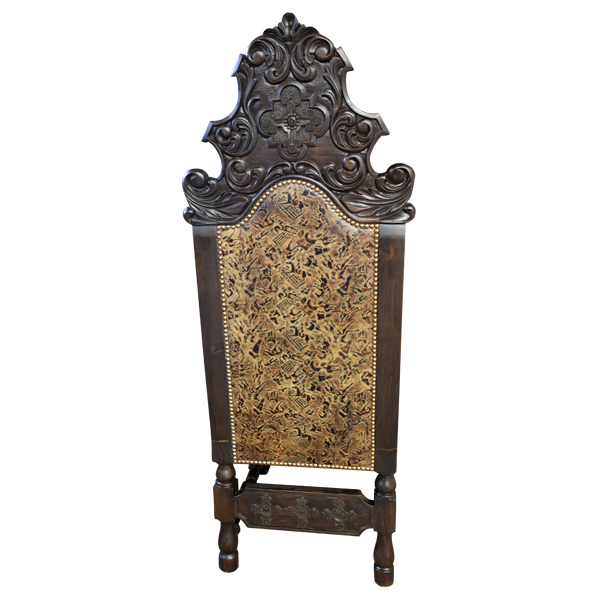 Additionally, this custom chair is adorned with a lovely, hand carved, back stretcher panel. 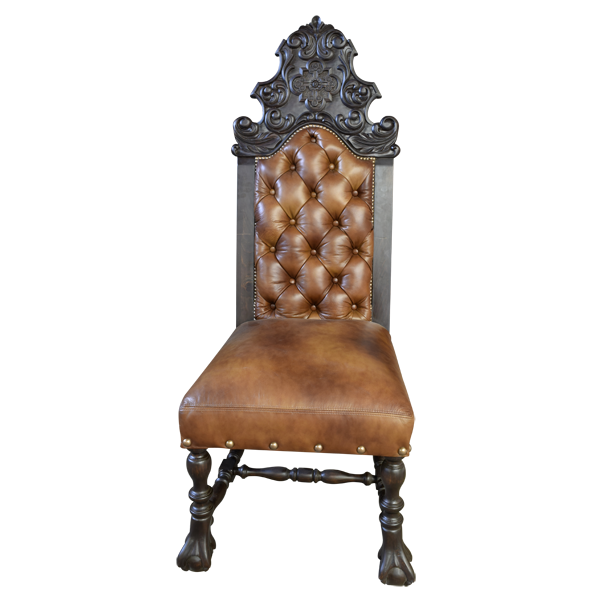 The seat is generously padded and is upholstered with rich, brown full grain leather. 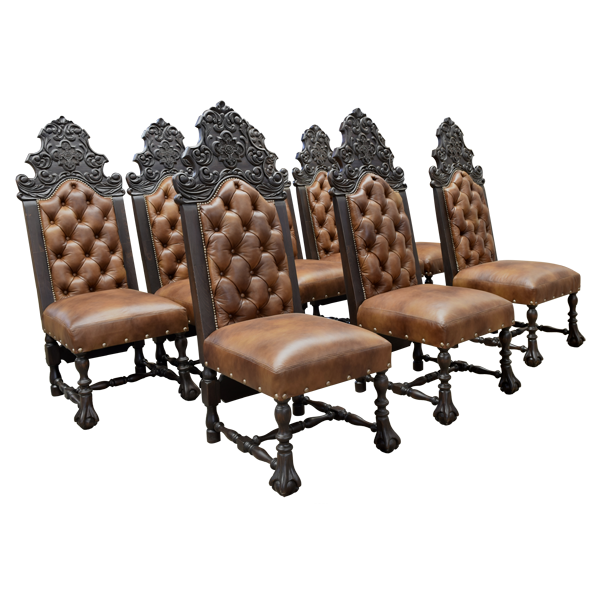 The inside seat back is upholstered with matching, brown full grain leather, and the inside seat back is embellished with an ornate, button tuft design. The reverse seat back is upholstered with embossed full grain leather. The upholstery is precision hand tacked to the seat back with small decorative nails, and the seat is hand tacked with large decorative nails. The chair is made with the best, sustainable, solid wood available, and it is 100% customizable.